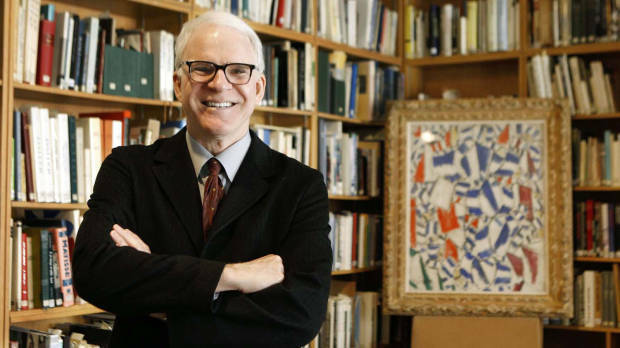 Steve Martin wrote an art world novel and you should just read it already. Steve Martin, why aren’t we friends? We have so many notable obsessions in common: You play the banjo. You think that pop culture storms around ancient stuff are hilarious and curious (“he gave his life for tourism“). You love Paul Revere with a love that is hard to explain to outsiders (we should have a secret PR handshake; also see below). You’ve been a victim of art crime… but you still love wonderful things. Drop me a line sometime and, if I am not being reclusive, you can criticize my banjo bridge choices while I tell you what it is like to spend 8 hours a day in Paul Revere’s bedroom. We can drink to the intangibles of tangible culture. Oh yeah. 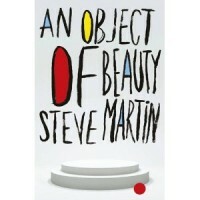 Steve Martin wrote an art world novel. An Object of Beauty. I really liked it. That is what this review is about. Steve Martin is an art lover and an art collector. 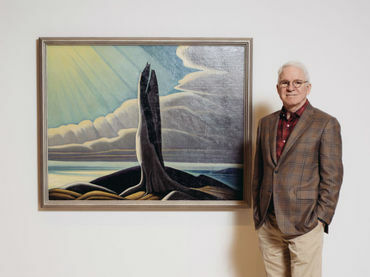 You may have seen that he curated a Lawren Harris show at the Hammer Museum recently. I sure did. Obviously he has cash. Obviously he runs in *circles*, obviously he is someone who, in the art world, is courted for the cash, for the circles, for the image. People in that position usually write tired, terrible books reflecting on their own collecting, patting themselves on the back. The books are all called something like “The collector’s eye” or “A passion for form” or “I am financing my self-congratulatory book myself: ART!”. Not that Martin would ever go down that road, but for the most part these are not the people who write art world fiction. Martin, however, writes about a world he has been privy to. A world that I can only speculate about and, likely, get wrong. 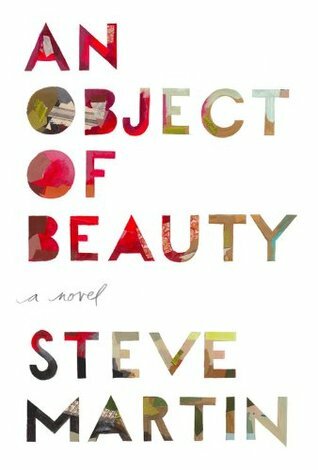 He talks about auctions while holding a paddle, dealers while being wooed by them, and collecting while standing enchanted by the objects of beauty in his own home. Martin’s fictional world (and the world of several characters) revolves around a woman named Lacey Yeager. Lacey moves from an art history degree, to Sotheby’s, to a gallery, to her own gallery, to [read the book]. She is horrible and intoxicating. The sort of woman that you know is your intellectual inferior but is your social superior in every way. She’s everyone’s social superior. The reader quickly becomes the narrator: a person who flirted with becoming intoxicated with Lacey but, rather wisely, retained their independence. As Martin says, she indeed becomes an anthropological observation project… but one you/narrator gets a bit too close to. You worry about your ethics approval. In this infinitely highlight-able passage for people who need that sort of thing on a regular basis (me), Martin captures Lacey’s conversion from a lover of art to a lover of the value of art. From being enchanted by beauty to being enchanted by the money people will pay for beauty. It is the ultimate corruption and, yes, Martin is right. Few make it back to beauty again. Yet despite this corruption, or perhaps because of it, Lacey achieves something that I can’t: she “understood why people wanted to own these things”. No matter how much I enjoy the beauty of art and am awed by antiquities, I cannot understand why people want to own them. They feel unownable to me. Martin however, understands. He feels it too. But on the other hand he doesn’t portray the desire to own beauty as universal or, rather, he doesn’t make it seem that those who want to own want to own out of the same pool of motivation. Martin’s Lacey is able to read the motivations of others (buyers, friends, lovers) and harness them for her own purposes…or drop them if they are no longer needed. Gosh the art world can be a cold, fickle place. Here is Steve Martin playing “Me and Paul Revere” on the banjo AT the Paul Revere House a MERE MONTH after I stopped working there to, you know, move to Scotland and do all this art crime stuff. SIGH! Martin’s Lacey stops by Paul Revere’s house in the book and even she, self-centered as she is, feels something there. As we readers follows Martin’s story (Lacey ages just a bit, she loses her shine but not her skill), we make little stops along the darker corners of the art market. A Russian museums person admits to having all sorts of art taken out of Germany in the aftermath of the Second World War. Lacey skirts along the side of the FBI’s fruitless attempts to recover the artworks stolen in the Isabella Stewart Gardner Museum heist. We also watch Lacey make numerous ethically questionable decisions including one that becomes central to the story. Martin points out that even true art crooks don’t like to publicly deal with alleged art crooks. Gosh the art world can be a dirty, insincere place. Martin as curator at his Harris exhibition. I can cite a novel by Steve Martin in an academic paper right? Why not? The real question is why did it take me so long to read this book? Follow up, why aren’t you buying it right now? I find myself sincerely hoping that Martin writes more art world novels. I feel my chances are slim but, gosh! Making these up on a plane with no internet access. If these are real pieces of masturbatory collector writing, that just proves my point.